6,000 wells are needed for the QCLNG export project over 20 years. Are we using the gas wisely? The drama now unfolding is that – because Queensland exports most of its coal seam gas as LNG to foreign countries and not to other States along the East coast – NSW obviously wants to copy what is being done in Qld. The NSW government’s submission 642 to the CSG Inquiry does not provide any calculations on how much gas is needed for an oil to gas transition in the transport sector. Neither does it say which coal fired power plants will be replaced over which period and how much gas would be required for this task. Most of the new coal seam gas is used for additional power plant capacities to provide for GDP growth. A smaller, but unspecified amount of gas is needed to top up intermittent renewable energies. The NSW government confuses gas reserves and resources. It wrongly increases 3P reserves 6-fold. The bloated data are then used to create the impression of hundreds of years of gas supplies, possibly with the intention to push through LNG projects later. What is worse is that burning the claimed gas “reserves” would substantially INCREASE CO2 emissions, equivalent to running the Wiggins coal terminal for 80 years, a timeframe in which Planet Earth would be cooked alive. To build the NSW economy on the basis of wrong and unsustainable calculations will not be successful. The NSW submission dated 30/9/2011 must be corrected. To avoid similar future cases an independent Energy Audit department must be established with suitably qualified personnel to vet all energy related government documents before they are published. Does the NSW government plan for gas to be used as transport fuel in sufficient quantities to replace oil and does it do the appropriate calculations? Let us analyse the latest thinking in their submission 642 to the Inquiry on coal seam gas. “Compressed natural gas (CNG) is being used as transport fuel in buses in Sydney. Trials are being undertaken for use of natural gas in fuel cells to be used in buses and trucks and LNG to be used in long-haul large trucks. CSG can be used in all these applications as it is a direct substitute for natural gas. There are over 200 trucks converted to LNG in Australia. Owing to its density, greater volumes of LNG fuel can be stored in liquefied form making it more suitable for long-haul heavy vehicles (compared to CNG). There is no movement, however, in the light or passenger vehicle LNG market mainly due to impractical storage requirements. LNG presents an attractive alternative in the heavy vehicle segment due to its price stability, environmental benefits and proven performance. Historical movements in natural gas pricing (LNG and CNG), have been small relative to annual movements in the price of automotive diesel. As a consequence, it is anticipated that a significant part of the increase associated with the proposed changes to fuel excise will be offset by net increases in the cost of diesel relative to natural gas for transport in Australia – resulting in these fuels remaining relatively attractive within the transport market. So does the NSW government then continue and calculate the gas supply requirements for trucks and buses? No. The above statements are only used as an argument in favour of coal seam gas development. 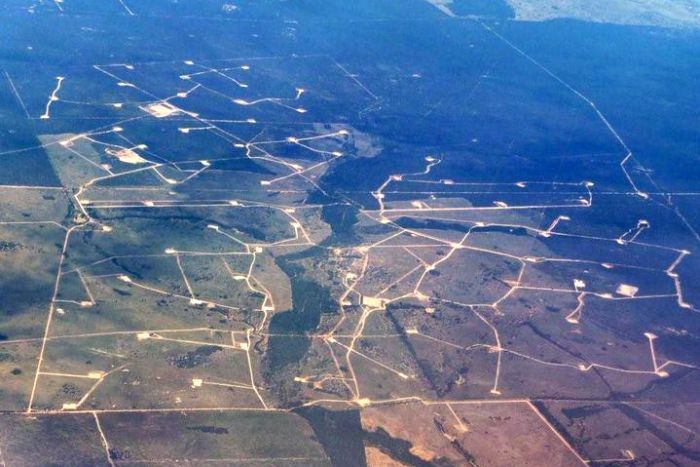 Let’s have a look at how the coal seam gas is proposed to be used. Slow Rate of Change: 4.9%, with GPG demand growing at 12.7%. We can clearly see from this image the emphasis on public transport as a solution, but trucks and agricultural machinery are not shown and the conflict with LNG exports is not seen, let alone resolved. A more detailed analysis of this scenario in AEMO documents would be a topic for another article. The selected scenario is not, as mentioned in the NSW submission, a medium scenario but a maximum growth scenario. While some of the gas powered capacity is needed to even out fluctuations in renewable energies, this has not been quantified in the NSW submission. cumulative production with declining 2P and 3P reserves (RHS) which would be depleted by 2025. 2C contingent resources would have to be proved up to continue until 2030. See AEMO tables 3 in the appendix for more details. That’s 160 PJ pa for diesel and 215 PJ pa for petrol, in total the equivalent of 1.7 LNG export trains @ 4 mt pa. The problem is of course that Queensland is building these export facilities right now in Gladstone, instead of using and distributing this gas along the East coast as transport fuel. In other words, NSW now damages its landscape because Queensland is exporting its CSG to foreign countries and not to other States along the East coast. It then wrongly adds up 3P reserves, 2C resources and prospective resources from tables 3-1, 3-2 and 3-3, adds a massive amount of undocumented CSG for the Gunnedah basin and puts everything into 3P reserves. This is a blunder of the 1st order. Whether this is incompetence, ignorance, complacency, deliberate “embellishment” or a combination thereof can only be guessed. Yes, 3P reserves include P1 and P2 reserves. The table above is from AEMO. The NSW government should have noticed this error, instead they fell into this trap and added it all up, but made it worse by putting the sum into 3P. In their table 1 the NSW government has 149,740 PJ for Gunnedah, while the AEMO GSOO 2010 table 3-2 has only 50,000 PJ, a figure which in itself obviously suggests it is a guestimate. The claim of 250 years of “reserves” is absurd. Australia’s emissions are around 400 mt CO2 pa in the energy sector so that would be 16,711 / 400 = 42 years worth of emissions. 149,740 PJ x 51.33 kg CO2e / GJ = 7,686 mt CO2e equivalent to 2,562 mt of coal or 15 years of NSW coal production. the amount of CO2 ending up in the atmosphere from burning the 326,666 PJ of gas “reserves” will be INCREASED, not decreased. So claiming that all this gas would reduce emissions is also factually wrong. NASA climatologist James Hansen has calculated that if the whole world burnt just 50% of estimated resources of unconventional gas, CO2 concentrations in the atmosphere would go up by 50 ppm. We cannot afford this.